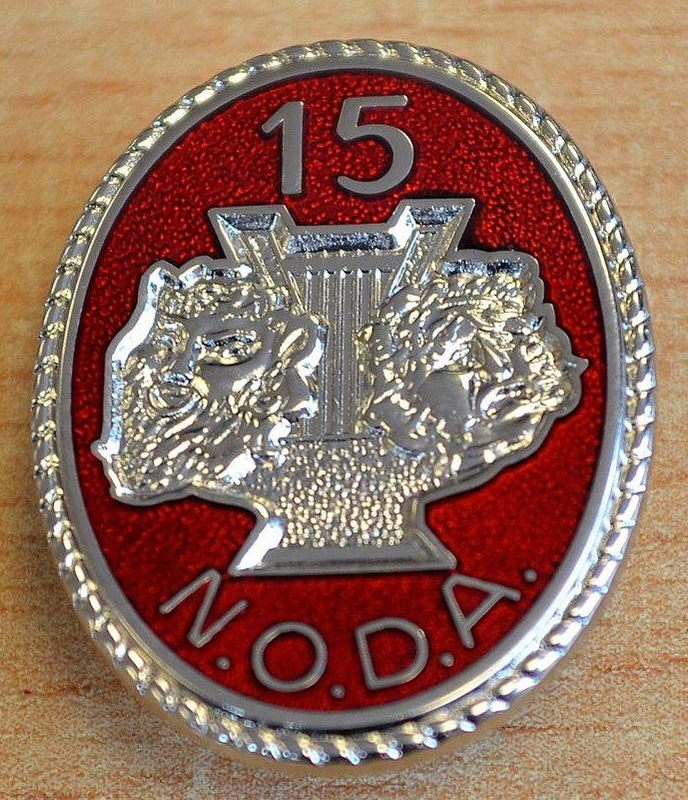 For further information please contact the membership services team on 01733 374 790 or email info@noda.org.uk. 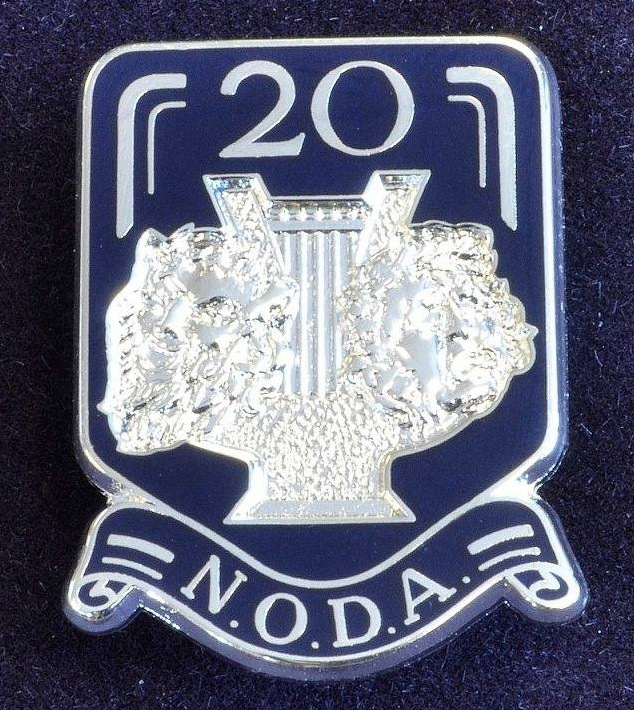 NODA offers a superb and totally exclusive range of medals, bars, badges and certificates for your society to present to members, to show appreciation and to commemorate their years of service to amateur theatre. 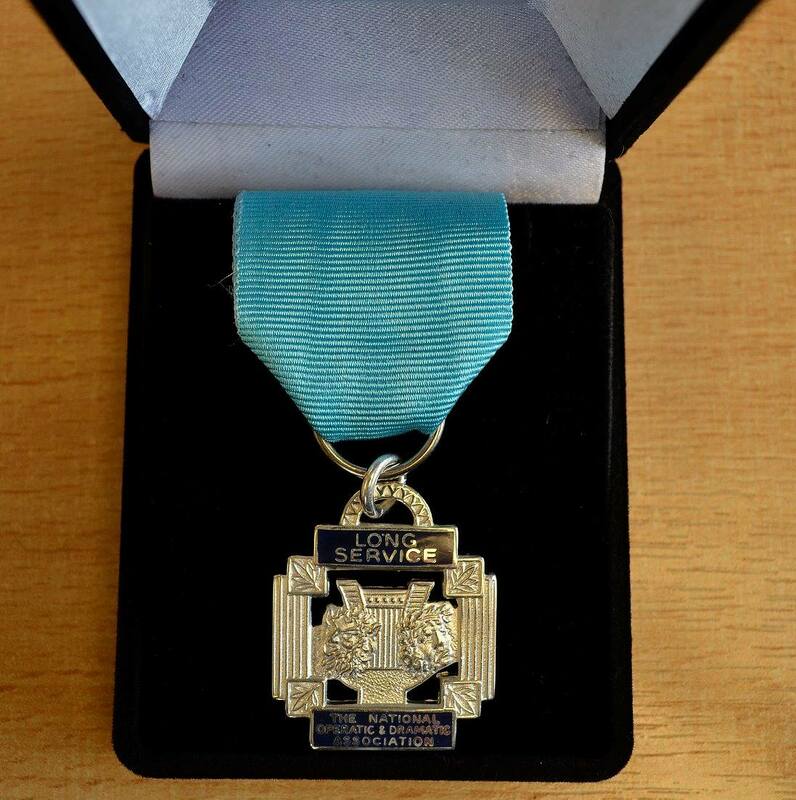 The most highly prized award in the world of amateur theatre is undoubtedly the NODA Long Service Medal, signifying 25 years of active and unpaid service, on stage or off. 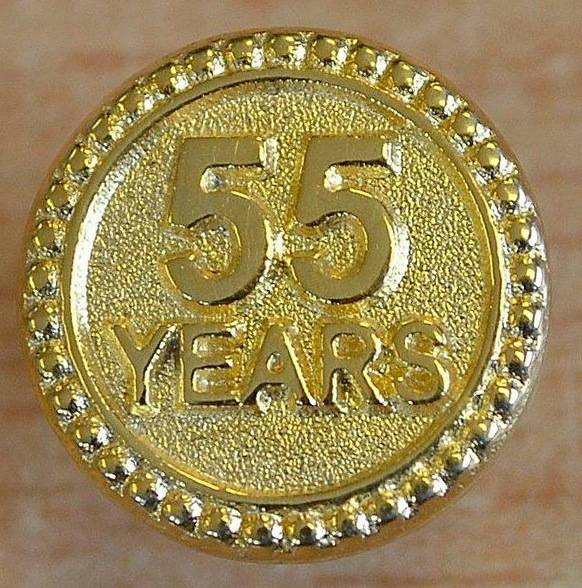 Every subsequent five years of service can then be marked by adding a Silver Bar, culminating after 50 years of service with the Gold Bar, and after 60 years with the highly prestigious Diamond Bar. 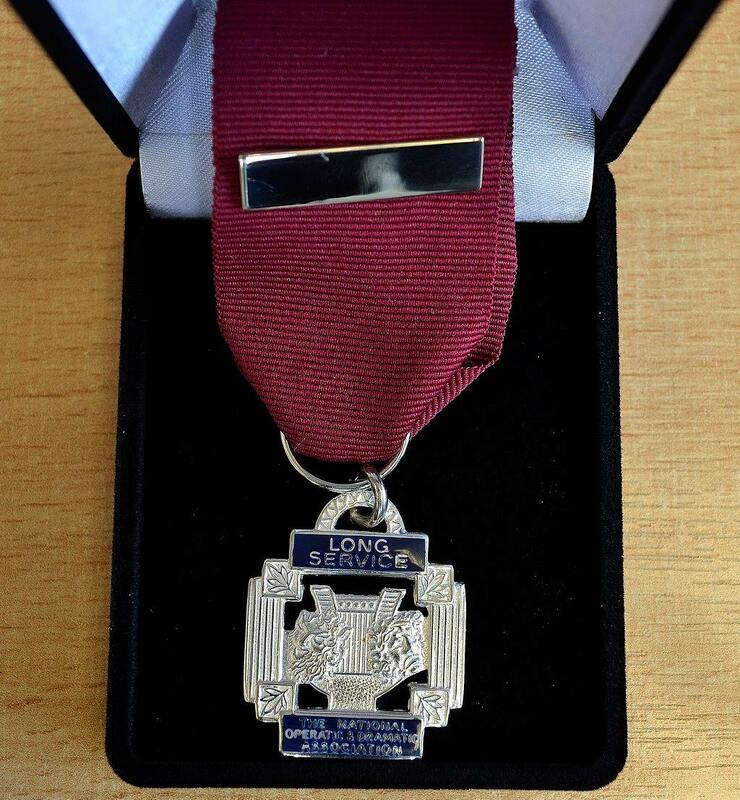 Normally presented by societies to individuals as an expression of gratitude, medals, bars and badges for 10, 15, 20 and 25 years of service are available upon application, supported by confirmation from a society official. Service does not have to have been continuous, nor with one society alone. 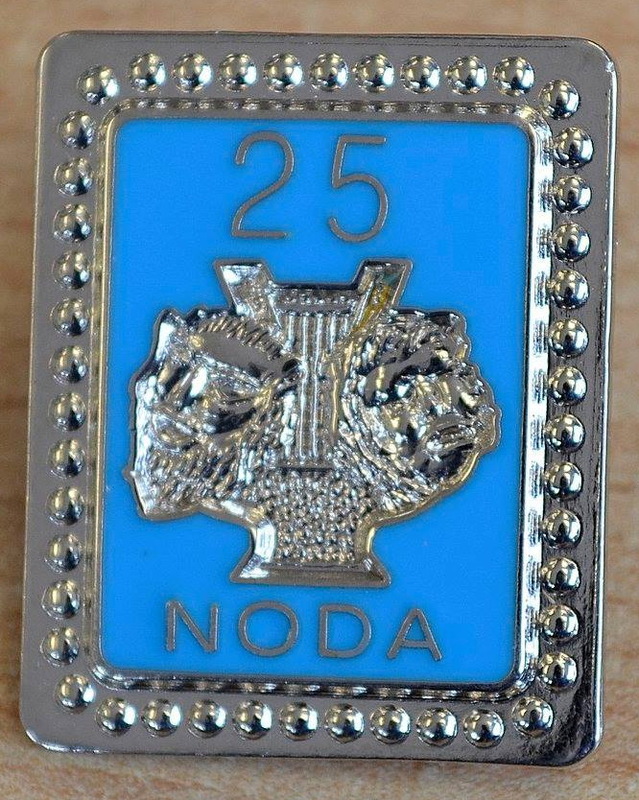 Application forms and full details of eligibility are available from your Regional Councilor or NODA Head Office. 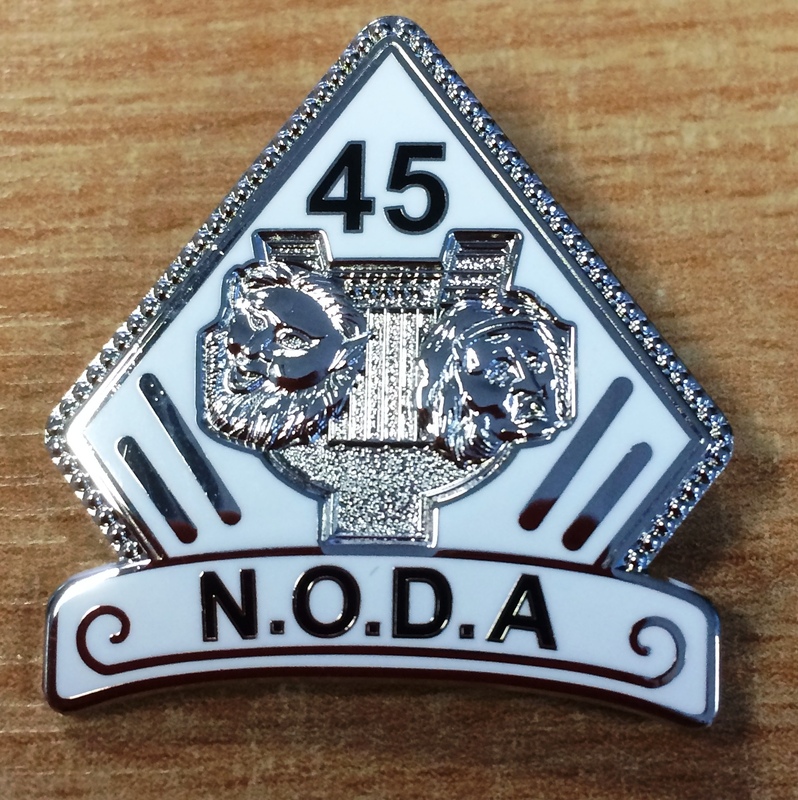 Introducing four new award badges to the range. 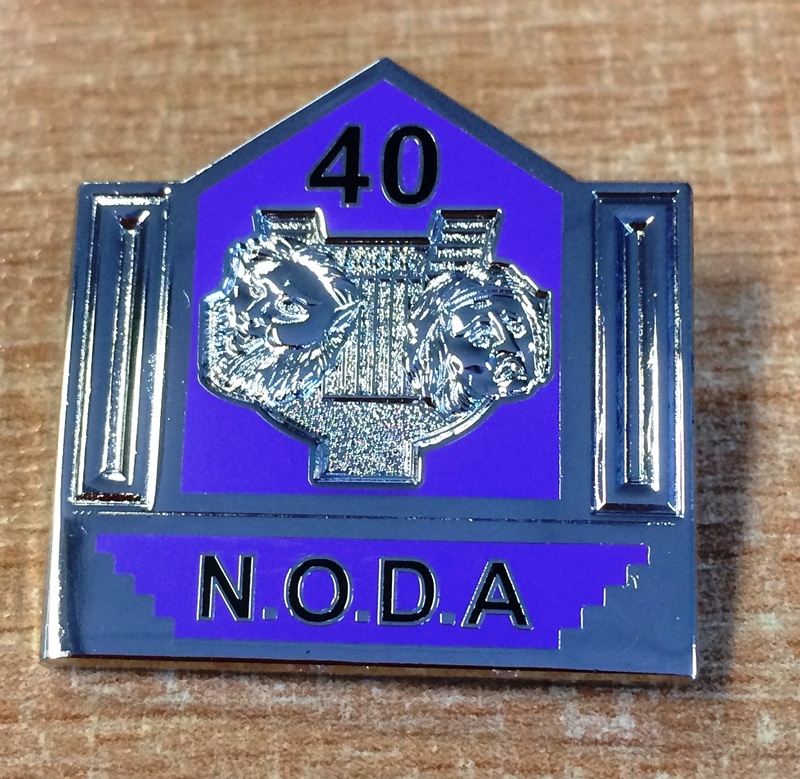 These can be ordered in place of the additional silver bars which are added to your long service award or as well as. 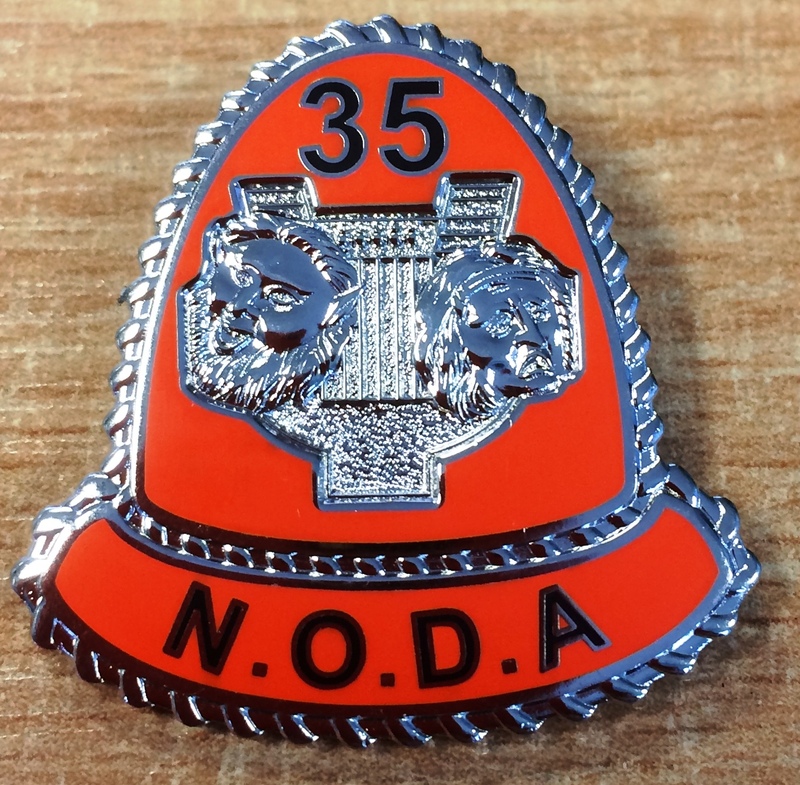 We are aware that some prefer to wear a badge as opposed to the long service award. 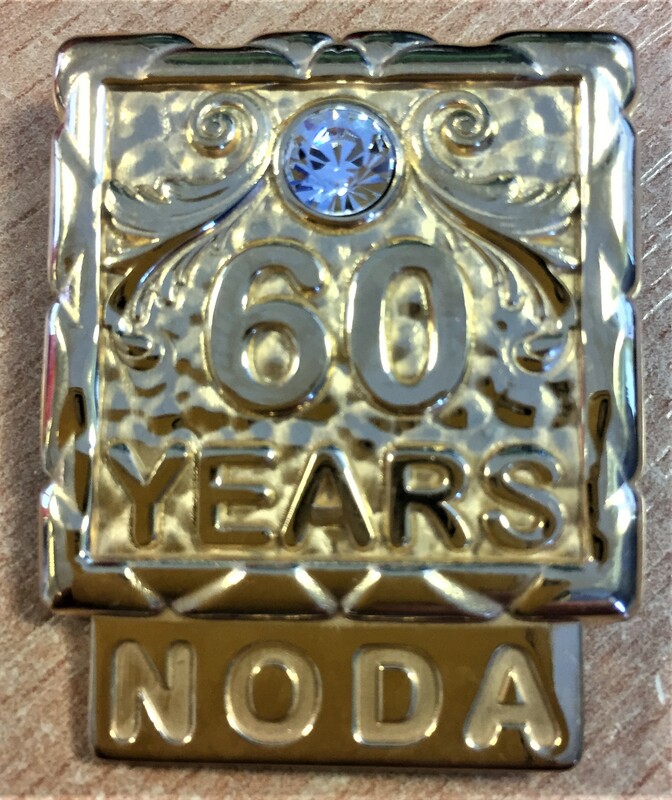 The 60 year badge or pin can be ordered in place of the 60 diamond bar. 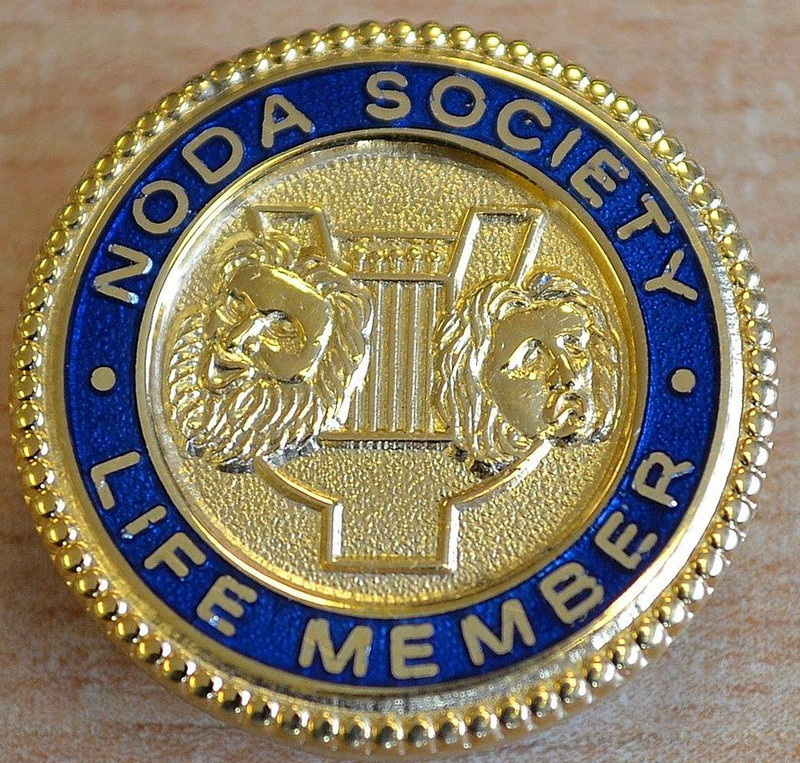 If your society has made any of your members ‘Life Members’, NODA have for you a ‘NODA Society Life Member’ badge. 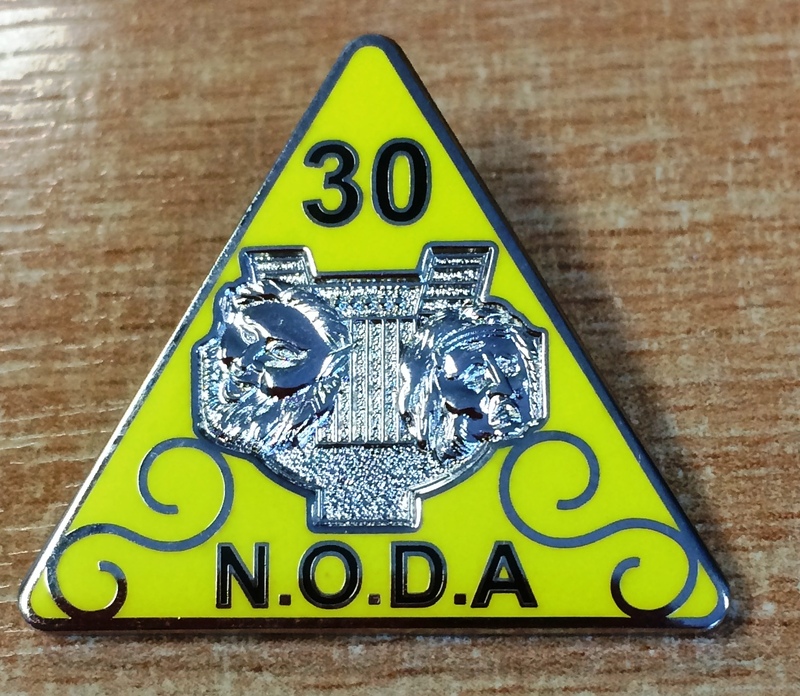 Made with silver gilt and featuring the NODA crest, your life members can wear this prestigious, quality badge with pride! 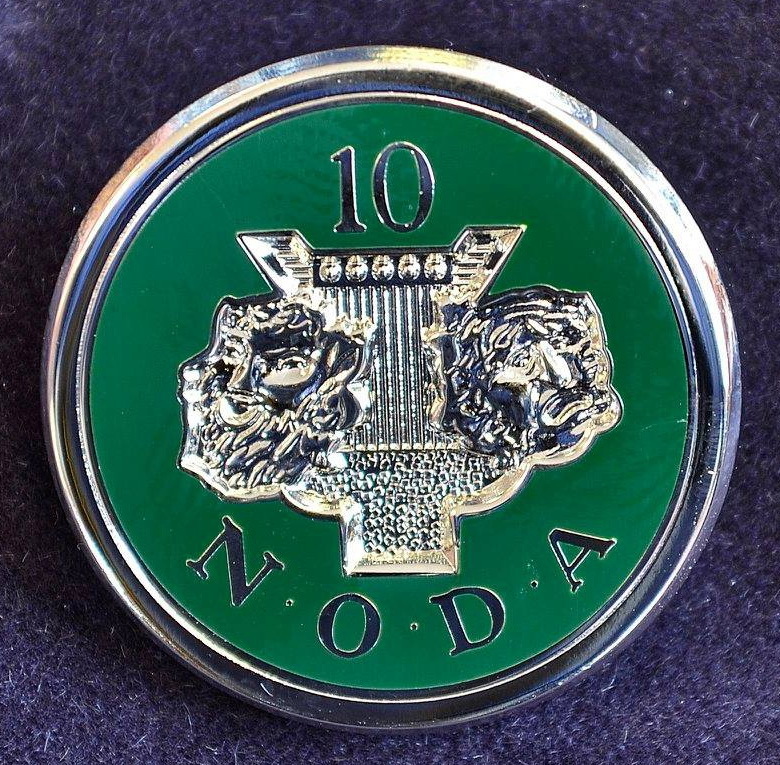 55, 60, 65 and 70 year pins are, as with all NODA medals and badges, hand crafted and manufactured to an extremely high standard, and these pins are fine examples of just that. 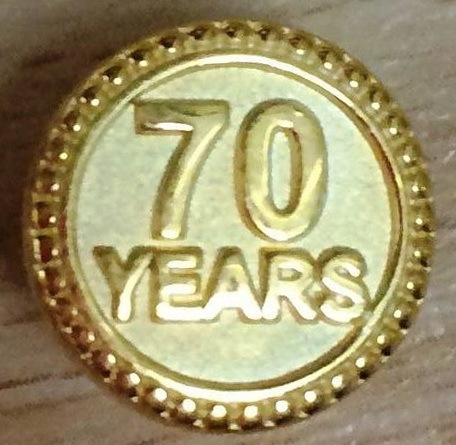 They make a beautiful, quality gift for those with more than 50 years' service to amateur theatre and can be attached to existing 50 and 60 year medal ribbons.